BERLIN (Sputnik) — The march went from the Brandenburg Gate to the Tiergarten park, where some 2,000 Soviet soldiers were buried. The participants carried photos of their relatives who took part in World War II and the Victory Banner. The procession laid wreaths at a Soviet memorial. 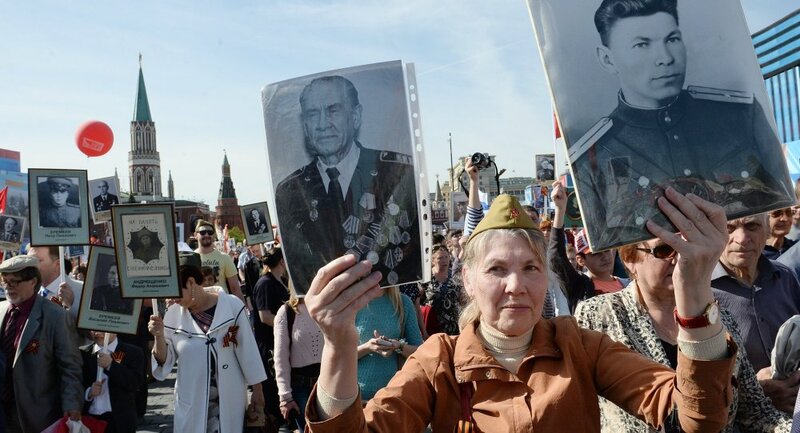 The Immortal Regiment is a patriotic initiative that commemorates WWII soldiers in marches held across Russia and other countries in early May. 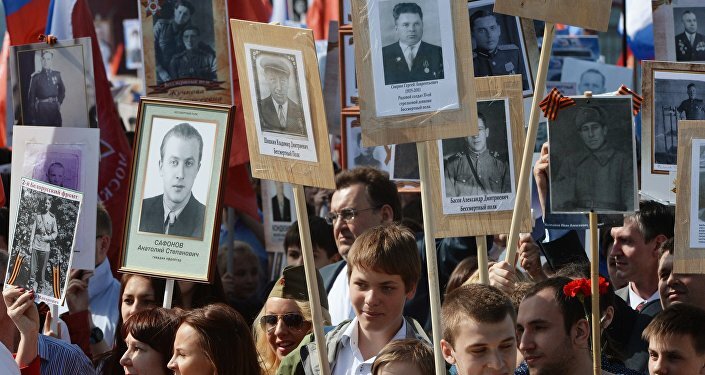 During the marches, people carry photographs of their ancestors who participated in the war. Some 12 million people have participated in the 2015 Immortal Regiment march throughout Russia. This year, commemorative Immortal Regiment marches are held in the United States, Canada, Germany, France, the United Kingdom, Spain, Switzerland, Estonia, the Czech Republic, Lithuania, and many other countries.